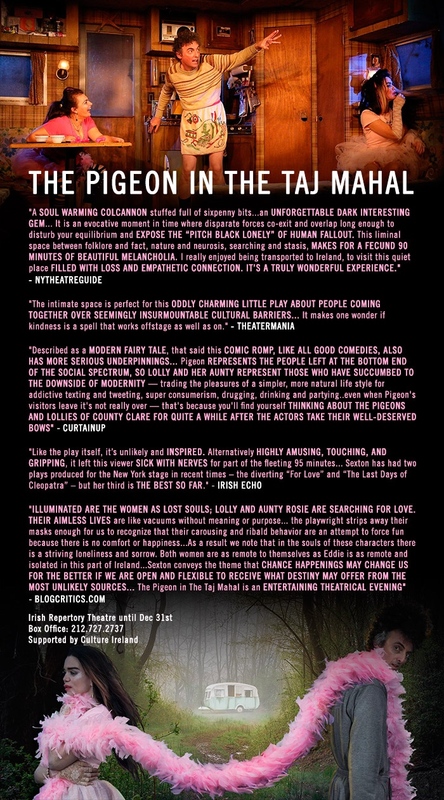 The Pigeon in The Taj Mahal is a modern rural fairytale, about trying to get home. Late one night a Bride-To-Be gets separated from her Hen Party, and rescued by a strange man who finds her passed out in a field. He brings her back to his caravan on an abandoned campsite. But who exactly ends up rescuing who? During this long night of reckoning, amongst the glitter and the grime, a battle for survival ensues,pitting technology against mythology, urban against rural, modern against old world tradition- Worlds collide in this darkly funny pressure cooker of a play about how we live now, the need for empathy and the thirst for human connection.